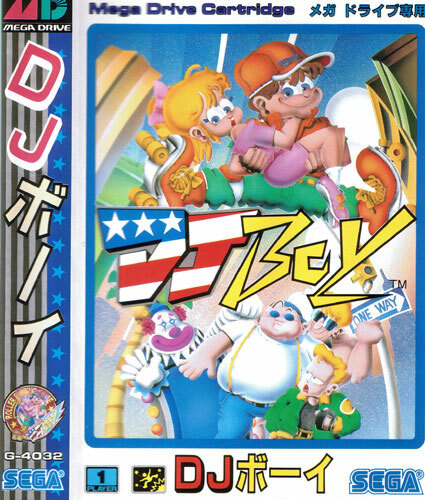 DJ Boy seems to be the sort of character Japanese games companies come up with when trying to create the all American kid with his roller blades and cap on backwards. 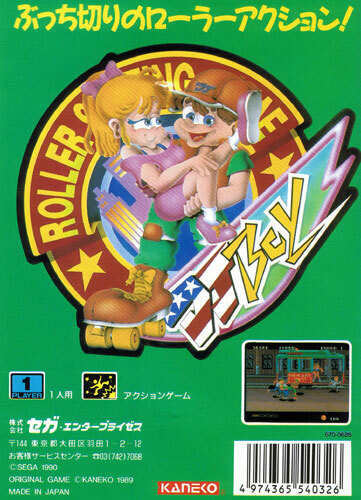 The game has also tried to capture an all American apple pie flavour but comes out a rather bizarre and entertaining eclectic mix complete with wind breaking bosses and a male stripper. Very entertaining however if you like Japanese slap stick humour, especially the vanquished boss cut scenes. Second hand. Cart sticker peel on reverse with light manual impressions from the holder tabs.